Dr. Tomi L. Wahlström is a multilingual, multicultural academic leader with expertise in teaching, business, academic management, consulting and clinical human services. 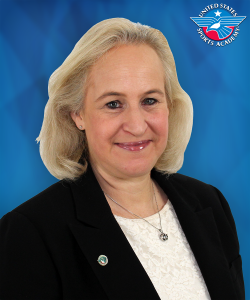 Before joining the United States Sports Academy as vice president of academic affairs, Wahlström served as acting dean at Schiller University and academic facilitation manager at Ultimate Medical Academy, both in Tampa, Fla. He previously served for more than a decade at the American Intercontinental University (AIU) in Chicago, Ill., and Los Angeles, Calif., where he held numerous roles including lead faculty, program chair, associate vice president of academic affairs and dean of business. Wahlström previously served as vice president of academic affairs at Argosy University in Tampa, Fla., dean of professional studies and human services at Edward Waters College in Jacksonville, Fla., and executive director of the Center for Social Responsibility and Community for the State University of New York (SUNY) at Oneonta. 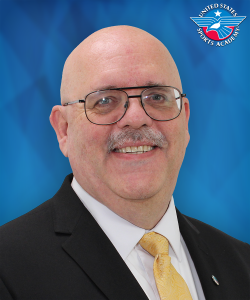 He has also served on the faculty for the Chicago School of Professional Psychology, Colorado State University Pueblo and the University of Maryland. In addition to his work in education, Wahlström has for more than a decade managed Otavala Consulting, Inc., a nationally recognized firm that specializes in strategic planning, organizational development and leadership in higher education. He previously owned management consulting companies Omni Management Group in Colorado and Apollo Consulting in Hawaii. Throughout his career, Wahlström has specialized in management consulting, leadership coaching, career counseling, conflict mediation and public speaking. He has also served as a clinical/family therapist. Wahlström holds a Doctor of Management degree from Colorado Technical University, a master’s degree in human resource management from the Hawaii Pacific University and a master’s degree in instructional design from Saint Leo (Fla.) University. He earned his bachelor’s degree in psychology from Hawaii Pacific. Dr. Fred Cromartie is the Director of Doctoral Studies at the Academy. Cromartie is also an Academy alumnus, having earned his Doctor of Education and Master of Sports Science degrees here. Cromartie also holds a master’s degree in Human Resource Development from Webster University and a bachelor’s degree from Ripon College. At the Academy, Cromartie has held various leadership positions including: Assistant Dean for Undergraduate Studies, Chair of Sports Studies, Chair of Sports Medicine, Chair of Health and Fitness Management, Chair of Sports Coaching, Executive Director of Alumni Relations and a member of the Alumni Associations Board of Directors, Director of Student Services, Director of Continuing Education, Distance Learning Faculty Member, Admissions Counselor and Graduate Assistant. Cromartie was recognized for his service to the Academy by being selected as The Distinguished Alumnus of the Year 2002. Dr. Brandon Spradley earned his doctoral degree from the Academy in sports management and currently serves as the Chair of Sports Management. Spradley previously served as the Director of Continuing Education working on international programs and special projects. 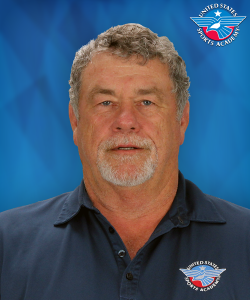 He has been to Malaysia and the United Arab Emirates on international assignments helping to teach and develop sport education programs across the world. Spradley’s dissertation focused on concussion awareness and education and he has been diligent about educating athletes and coaches about sport-related concussions. 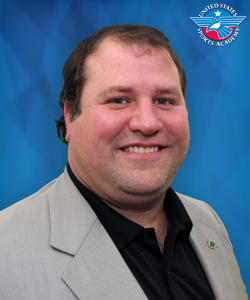 He has been involved in developing and facilitating concussion awareness programs in Mobile and Baldwin County and serves as a concussion educator for the Academy. Spradley played an integral role in helping the University of South Alabama educate more than 700 high school football players in Mobile County through the help of an NCAA grant. Spradley was a track and field sprinter at the University of Alabama, where he completed his master’s and bachelor’s degrees. He was a four-time NCAA regional qualifier and a two-time NCAA national qualifier in track and field running on nationally ranked relay teams in 2009 and 2010. Dr. Sandra Geringer has an extensive background in both education and sports. She is Director of Sports Studies at the United States Sports Academy, where she earned her Doctor of Education degree in sports management. Previously, Geringer served as Study Abroad Coordinator at Cuyahoga Community College in Highland Hills, Ohio, where she assisted students with opportunities to study abroad. At the same institution, she served as program assistant at the Global Issues Research Center. She earlier served as an office manager for Project HOPE-Virginia in Williamsburg, Va., which is Virginia’s program for the education of homeless children and youth. Geringer also has served as the assistant director of special events for the Athletic Department at the College of William and Mary in Williamsburg,Va., and recreational coordinator at the Chagrin Valley Recreation Department in Chagrin Falls, Ohio. Geringer has extensive experience as a tennis professional and has coached women’s and men’s tennis teams at the high school and collegiate levels. She was the interim head men’s and women’s varsity tennis coach at Cleveland State University in Ohio. She has held the position of tennis professional in the resort, private club, and recreational settings for over 15 years. Geringer has taught numerous courses abroad for the Academy, including the International Diploma in Physical Education and Sport Coaching in Malaysia and the Sport Authority of Thailand Certification in Sports Management program. She was a member of the women’s varsity tennis team and earned a bachelor’s degree in education with a major in sports management from Bowling Green State University in Bowling Green, Ohio, in 1997, and a master’s degree in education with a focus on higher education administration from the College of William and Mary in 2011. 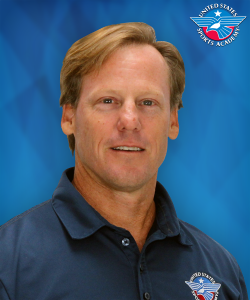 Dr. Brian Wallace is the chair of sports exercise science at the United States Sports Academy, where he previously served as chair of sport fitness and health. He has also served on the Academy’s National Faculty, a group of highly qualified faculty who teach in the institution’s international post-secondary non-degree education programs. He has served on numerous doctoral dissertation committees for the institution and directed the Academy’s Human Performance Lab. After earning his Ph.D. in exercise physiology from Florida State University (FSU), Wallace directed the Cardiopulmonary Rehabilitation, Fitness and Testing Center at Tallahassee Memorial Regional Medical Center. He also has served as senior vice president of applied physiology and nutrition for the Human Performance Institute in Orlando, Fla., and executive director of the lifestyle and performance center at Evolution Sports Science in Boston, Mass. Wallace has served as an adjunct professor at FSU, as well as a seminar speaker and consultant for Cross Country Education (Vyne Education). He is a Fellow of the American College of Sports Medicine (ACSM) and has numerous publications in scientific, medical and fitness journals. Wallace has an extensive research record and his certifications have included the ACSM and National Strength and Conditioning Association (NSCA). He has more than 30 years of experience with everyone from Olympic and professional athletes to cardiac and diabetic patients. This background has allowed Wallace to create a cutting edge physiologic testing system that blends the most recent advances in health, fitness, and nutrition science to identify individual strengths, weaknesses and needs. Wallace earned his master’s and bachelor’s degrees in exercise physiology from Southern Illinois University. Dr. Roch A. King is the chair of sports coaching at the United States Sports Academy. King earned his Ph.D. in psycho-socio interactions in sport from Temple University in Philadelphia, Pa. 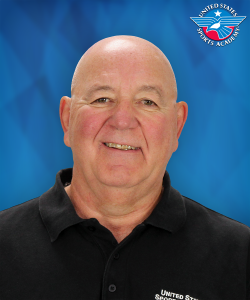 He has been deeply involved with coach education and development as a faculty member at West Virginia University, Ball State University, and Bloomsburg University of Pennsylvania, in addition to previously serving as the chair of sports coaching at the Academy. 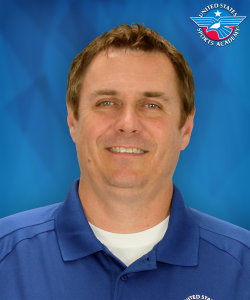 King served as the director of sport development for Indiana Swimming and oversaw the High-Performance Plan for club swimming throughout the state. 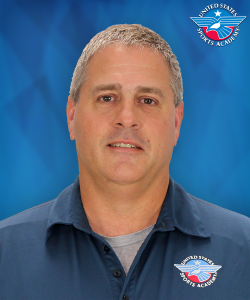 He has coached swimming at all levels from age-group to masters including serving on the staff at Carmel Swim Club (CSC) and Carmel High School in Carmel, Ind. King has also held coaching certifications in volleyball and water polo. King served a three-year term on the executive board of the National Council for the Accreditation of Coaching Education, during which he served one year as president (2006-2007). He has celebrated his 18th year as a senior trainer for the Positive Coaching Alliance for whom he has led live workshops for coaches, athletes, parents, and youth sport organization leaders across the country. King has presented on coaching and coach education internationally in countries such as the United Kingdom, Thailand, Malaysia, and Finland. David Penrose is the United States Sports Academy’s director of instructional design and an instructor of computer information systems. 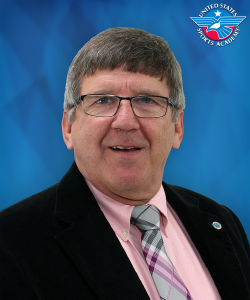 He has more than 25 years of experience in higher education and 20 years in online, distance education. Penrose earned his Master of Arts degree in cross-cultural counseling psychology from Michigan State University. In addition to having experience as a competitive long distance runner, he has coached disabled runners both for the Special Olympics and the United States Association of Blind Athletes. He has also been a member of the International Society of Sports Psychologists. With more than 30 years of experience working with computers and emerging technologies, Penrose teaches CIS 146 Trends in Computing. Dr. Avant earned both his Bachelor of Arts degree in Psychology and his Masters of Education in Counseling from the University of South Carolina. In addition, he has completed post-graduate study in counseling from The Citadel and is certified in sports counseling by the National Institute of Sports. Dr. Avant received his Doctorate in Sports Management from the United States Sports Academy and is a member of the National Faculty and Non-Resident Faculty. He is presently an elementary school Guidance Counselor and coaches both the varsity baseball and football teams. For the past twelve years, Dr. Avant has been coaching at the recreational, middle school, and high school levels. He is also an adjunct professor at Williamsburg Technical College and is actively involved in water sports. In his free time he teaches water skiing and wakeboarding. Dr. Borgese is Chair of the Department of Tourism and Hospitality with the City University of New York at Kingsborough Community College. His interest lies in teaching and research within the field of entrepreneurship, and he is involved in Work Force and Economic Development projects that serve the greater New York City area. .He has served as a consultant for various businesses in his native, Brooklyn, New York. Dr. Borgese has a BA in Philosophy from Brooklyn College, an MBA from Baruch College, and received his Doctorate in Sports Management from the United States Sports Academy. Dr. Stephen Butler holds a doctoral degree in Administration of Curriculum and Instruction from Auburn University; a master’s degree in Educational Administration from Chapman University; and a bachelor’s degree in Physical Education from Florida Atlantic University. 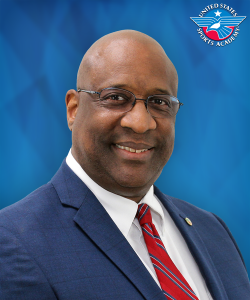 He has over 25 years of experience in higher education where he has developed curriculum, taught at both the graduate and undergraduate level, and served as an administrator. Butler served nearly 24 years in the United States Air Force as a B-52 navigator and military educator. His final Air Force assignment was as the Vice Chancellor for Student Affairs at the Defense Language Institute Foreign Language Center, the world’s largest foreign language school. He has played and coached team sports at all levels since the age of six. He is also an avid runner who has competed in 30 marathons, including Boston twice. He served on the Board of Directors of the Big Sur International Marathon for 16 years. Dr. Davis is an assistant professor of sport management at Niagara University, where he has served for six years. 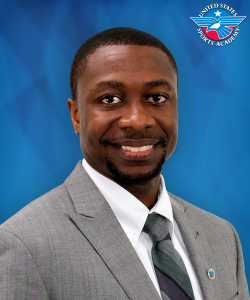 A graduate of the United States Sports Academy’s Doctor of Education in Sport Management program, Dr. Davis previously was an assistant professor and curriculum coordinator for business technologies/sports management at Alfred (NY) State College. 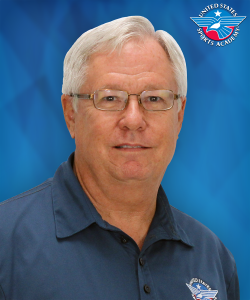 A former soccer coach, Dr. Davis is the Northeast Regional Chair of the NJCAA All-American Selection Committee for the National Soccer Coaches Association of America. A former volunteer emergency medical technician, Davis also made presentations on sports marketing and leadership. Dr. Erwei Dong earned his doctoral degree from Pennsylvania State University in Recreation, Park and Tourism Management and has more than 10 years of higher education experience in the United States. He has a combination of more than two hundred published peer-reviewed papers, book and book chapters, professional presentations and technical reports to his research. He is a co-founder of China and North America Leisure Studies Network (CN-ALS). He has also been appointed as a Dongfang Scholar (Eastern scholar at Shanghai University of Sports) by the city of Shanghai (China). He is an emeritus associate professor at the University of KwaZulu-Natal (South Africa) and a research professor by University of Ryukyus (Japan). Dr. Drawdy has over 30 years experience as an administrator, teacher, and football coach in South Carolina where he served on many athletic committees and boards including the South Carolina Football Coaches Association, South Carolina Athletic Administrators Association, South Carolina Athletic Coaches Association, and Southern Association of Colleges and Schools. He also had the honor of coaching in both the 1999 North-South All-Star game and the 2004 Shrine Bowl. Dr. Drawdy has a bachelor’s degree in psychology/education from Francis Marion University, a master’s degree in elementary education from Francis Marion University and a doctorate in educational leadership from Nova Southeastern University. Dr. Dutko has worked as a Nationally Certified (ATC) and Licensed Athletic Trainer (LAT) in the traditional setting as a high school, college, professional indoor football athletic trainer, and in the non-traditional setting as a co-founder of a free standing sports medicine clinic, and as a Corporate/Occupational Athletic Trainer. He has worked with athletes of all sports and the physically active of all ages and skill levels in preventing, evaluating, treating, and rehabilitating injuries of all types and severity. Dr. Dutko currently is the Head Athletic Trainer for the highly competitive Saint James School a private college prep school located 60 miles West of Washington DC, and provides freelance sports medicine coverage for athletic events at all levels. 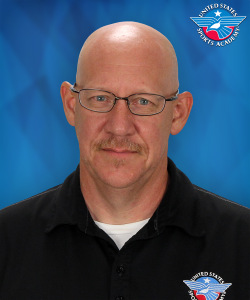 He has taught Health/Physical Education for 25 years at the high school level and has coached and played several sports including, football, wrestling, baseball, track & field, and soccer. Dr. Dutko earned his B.S. degree from Virginia Polytechnic Institute, M.S. degree from West Virginia University, and his Doctorate Ed.D from the United States Sports Academy. 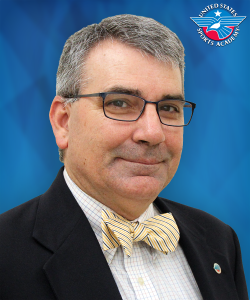 He holds his ATC from the National Athletic Trainers Association Board of Certification and his LAT from the Board of Medicine of Virginia and from the Board of Physicians of Maryland. 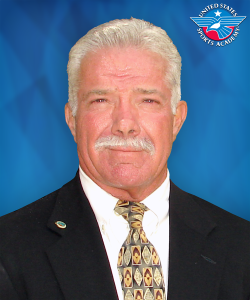 Dr. William “Bill” Kruse is a graduate of the United States Sports Academy’s Doctor of Education in Sport Management program with an emphasis in Leadership. He also holds a Juris Doctorate from the University of the Pacific’s McGeorge School of Law, a master’s degree in Sport Management from the University of Richmond, and a bachelor’s degree in Business Administration from San Diego State University. 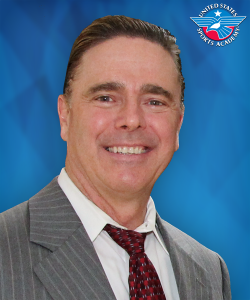 Dr. Kruse has over 23 years of experience as a litigator, trial, and sports attorney. He is a member of the bar association in the states of California and Texas. Additionally, Dr. Kruse is General Counsel and Head of Officials for one of the largest youth football and cheer organizations in the United States. He is part of the team which certifies and instructs thousands of board members, coaches, and officials throughout the year. Further, he has officiated American football at the college, high school, and youth levels. Dr. Moon is the Executive Director of Research and Education at ImpediMed Inc., a medical device company focusing on fluid and tissue changes in clinical populations. 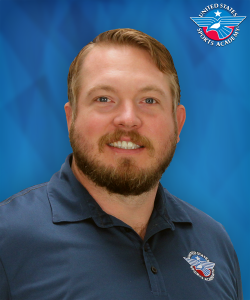 He is a former Department Chair of Sports Exercise Science at the United States Sports Academy and is a Certified Strength and Conditioning Specialist with Distinction (CSCS*D) through the National Strength and Conditioning Association (NSCA) as well as a Certified Exercise Physiologist (EP-C) through the American College of Sports Medicine (ACSM). He has trained all levels of athletes, including professionals in Major League Baseball, the National Football League, the National Hockey League, as well as college athletes and teams in addition to youth and fitness clients. Dr. Moon has been teaching undergraduate and graduate students for over a decade, has presented over 45 lectures at multiple scientific conferences and events both nationally and internationally, and he has published more than 135 research articles and abstracts in dozens of journals. He has also written a book chapter and published a book in the areas of sports nutrition, exercise science, body composition, body water, and changes regarding age and fitness level. Dr. Moon received his PhD in Exercise Physiology from The University of Oklahoma, his Master’s degree in Exercise Science and Health Promotion from Florida Atlantic University, and his Bachelor’s degree in Physical Education from Grand Valley State University. Dr. Newman is currently an associate professor at York College of Pennsylvania. Heearned his doctorate in sport management at the United States Sports Academy (1999), his master’s degree in education at the University of Virginia (1995) and his bachelor’s degree from Towson State University (1994). 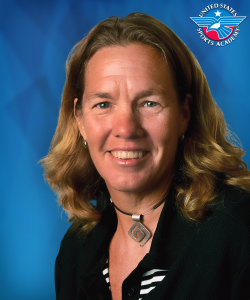 As a member of the United States Sports Academy’s National Faculty, Dr. Newman works with distance learning students and has taught courses in Botswana, Malaysia and Thailand. He actively contributes his time to a variety of community projects and volunteer programs each year. Dr. Newman writes a weekly blog and his primary areas of research include marketing, new media, social networking and issues related to leadership. Dr. Rice has been in higher education for nearly 20 years at colleges across the country. 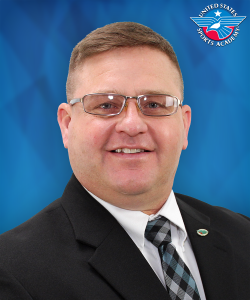 He has served in coaching and administrative roles at the NCAA Division I and III levels, NAIA and NCCAA levels, at the high school level and international level during his career. He has served as a head collegiate coach in basketball, cross country, golf, and soccer during this time, as well as serving in the roles of Sports Information Director and Athletic Director. 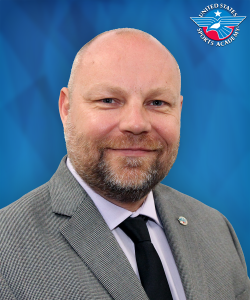 He currently serves on the Elite Performance Committee for Basketball Ireland, the FIBA governing body of the sport in the Republic of Ireland and Northern Ireland, and has consulted with other sport organizations in the Republic of Ireland. Many of Rice’s former student-athletes have gone on to become sport coaches and administrators. In addition, he served in the business world as a professional fundraiser with the American Heart Association. He earned his Bachelor of Science degree in Physical Education from the University of Mobile, a Master of Sport Science degree in Sport Management from the United States Sports Academy, and a Doctor of Sports Management degree in Sport Management/Human Resource Management from the United States Sports Academy. 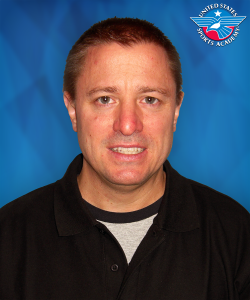 Dr. Simmermacher is a former Chair of Sports Coaching at the Academy and was previously a teacher/coach at Artesia High school in Artesia, New Mexico. He taught in the special education department as an inclusion teacher in the History department. He was an assistant varsity baseball coach and did the off-season conditioning for all male athletes. He spent six years at New Mexico Military Institute in Roswell, NM as an Instructor/Head Baseball Coach. He originally came to the Mobile, AL area in 1981 on a baseball scholarship to the University of South Alabama and played for the legendary Eddie Stanky. Upon Coach Stanky’s retirement in 1983, he transferred to the University of West Florida, where he graduated with his bachelor’s and master’s degrees in health, leisure, and sports/physical education in 1986. He received his Doctor of Sport Management degree from the United States Sports Academy in 2003. Dr. Simmermacher taught and coached golf, girls’ basketball and baseball for 15 years in Crestline, Ohio. During his time in Ohio he taught and coached a variety of sports at three different schools. From 2000-2005 he was the head golf coach, head girl’s basketball coach, and the head baseball coach for Crestline High School. From 1995-1997, Dr. Simmermacher coached baseball at Ashland University in Ashland, Ohio in a part-time capacity. His 1995 team made the school’s first trip to the NCAA Division II College World Series. 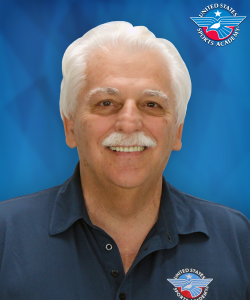 Michael Spino, Ph.D is a long time non-resident faculty member at the United States Sports Academy. He has taught and coached throughout the world and is the author of six books on the mental and physical aspects of sport. His book “Beyond Jogging: The Innerspaces of Running” was on the New York Times best seller list. As a college cross-country and distance coach at Georgia Tech and Life University, he coached many All-Americans and won 12 national championships. He is the Founder and CEO of True Champion LLC, a mind and body online coaching company. He was the Director of the Esalen Sports Center and earned his Ph.D at the University in Europe- Lille2 University of Law and Sport, one of Europe’s most prestigious sport-research institutions. Dr. Bonnie Tiell, Professor of Sports Management at Tiffin University in Tiffin, Ohio, is recognized for her contributions to intercollegiate athletic administration and global sports. Tiell works with members of the World Olympians Association to supervise educational programs at the Olympic Games in Athens, Greece; Beijing, China; London, England; and Rio de Janeiro, Brazil (2016). She has presented research, taught, or collaborated on sports projects throughout five continents and has extensive publishing experience. She is the co-founder of the NCAA/NACWAA Women’s Leadership Symposium serving almost 1500 female students and aspiring administrators in college athletics. At Tiffin University, Tiell has served as Dean of Graduate Education, NCAA Faculty Athletic Representative, MBA Chairperson, Senior Woman Administrator, Assistant Athletic Director, and Head Coach for volleyball, softball (national qualifier 1993) and tennis (national qualifier 2003). She earned a Bachelor’s of Education from Troy University, a Masters in Sport Administration from the University of North Carolina-Chapel Hill, and a Doctorate in Sport Management and Human Resources from the United States Sports Academy where she was recognized as the 2014 Alumnus of Year. As a former recipient of the Region 4 Excellence in Teaching Award through the Accreditation Council of Business Schools and Programs, Tiell is also a member of the Tiffin University Athletic Hall of Fame and recipient of the 2013 Great Lakes Intercollegiate Athletics Conference Donahue Service Award. Dr. Sara Weber has more than 20 years of experience working in sports communications. She most recently worked as a doctoral teaching assistant at the United States Sports Academy, where she earned her Doctor of Education degree in sports management with a sports marketing specialization. She has also served as an editor at CBS Sports/Interactive in New York, NY. Weber also has several years of college sports information experience, working in the athletic departments at Hofstra University in Hempstead, NY, and the University of Tampa. 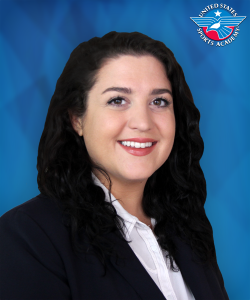 Weber, from Massapequa, NY, received her master’s degree from Hofstra, where she earned a degree in communications. She received her bachelor’s degree in broadcast journalism from Pennsylvania State University. Robert L. Herron is a doctoral teaching assistant at the United States Sports Academy. Herron earned a bachelor’s degree in exercise science from Auburn University at Montgomery and a master’s degree in exercise science from the University of Alabama.  Additionally, he is a Certified Strength and Conditioning Specialist® with distinction from the National Strength and Conditioning Association (NSCA-CSCS*D) and a clinical exercise physiologist through the American College of Sports Medicine (ACSM-CEP). Herron has extensive experience in higher education teaching and applied research. 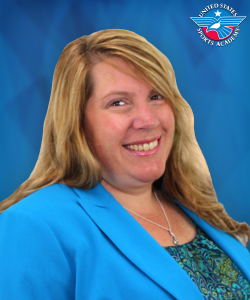 Jillian Rosandich is a doctoral teaching assistant at the United States Sports Academy. She earned her Master of Sports Science degree in sports management from the Academy and a bachelor’s degree in film and media arts from the University of New Orleans. Rosandich has significant experience in television, film and theater, working as an actor and in production in the United States and Malaysia. She earned the President’s Volunteer Service Award for her work with Habitat for Humanity and Americorps in New Orleans, La., where she taught disaster preparedness. She earned the Certificate of Special Congressional Recognition from U.S. Representative Joseph Cao (R-La.) for her commitment to service. 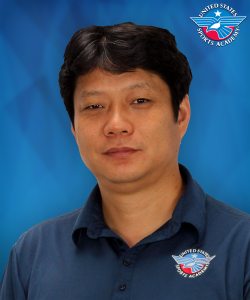 Wanyi Tang is a doctoral teaching assistant at the United States Sports Academy. She holds a bachelor’s degree from the Beijing Language and Culture University, where she also participated in the university’s exchange study program at Kristianland University in Sweden, and a master’s degree in translation and interpreting (Chinese-English) from the University of Westminster. 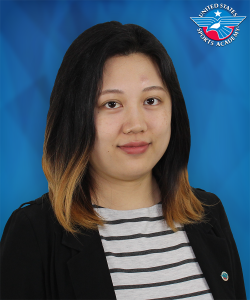 Prior to joining the Academy, Tang was a teaching assistant and lecturer at the School of Foreign Languages at the Central University of Finance and Economics in Beijing, where she taught undergraduate courses on intensive reading, listening and speaking and cross-cultural communication. She was previously a liaison officer for the Aircraft Owners and Pilots Association of China. 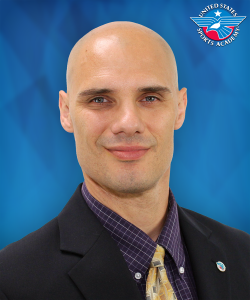 Jason J. Williams is a doctoral teaching assistant at the United States Sports Academy. He holds a bachelor’s degree in marketing from the University of Idaho and dual master’s degrees in business administration and sports business management from the University of Central Florida. He is also certified by Precision Nutrition, Functional Movement Systems and the National Strength & Conditioning Association and is also certified as a performance specialist by EXOS. Williams is also the owner of Williams Sports and Fitness in Foley, Ala. and has been an academic advisor at Columbia Southern University and a realtor with Meyer Real Estate in Orange Beach, Ala. Williams has also worked as an account executive for the New Orleans Hornets basketball team.